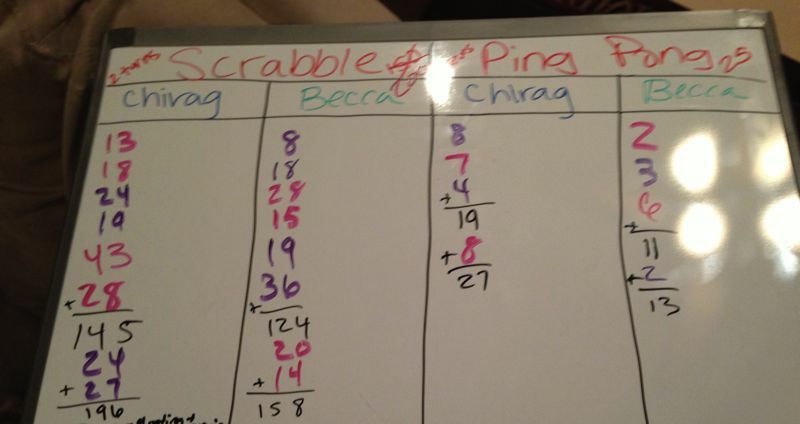 Last night we invented the Glorious Game of Scrabble-Ping-Pong. Similar to the famed sport of Chess-Boxing but far less painful, Scrabble-Ping-Pong is a game of speed, quick thinking, and real-time strategy. Round 1: Two alternating moves of Scrabble per player. Round 2: Five serves of Ping-Pong per player. First player to get 200 points in Scrabble OR 25 points in Ping-Pong is declared the winner. Alternate between rounds of Scrabble and Ping-Pong until either player wins. Local rules of Scrabble and Ping-Pong apply. Each move in Scrabble is timed and given at most 2 minutes. No breaks or rest intervals between rounds of Scrabble and Ping-Pong. Live scoreboard must be clearly visible to both players at all times to enable dynamic strategizing. In case of a tie in one game, the winner is declared based on the other game. In case of a tie in both games, feel free to make up your own tie-breakers. 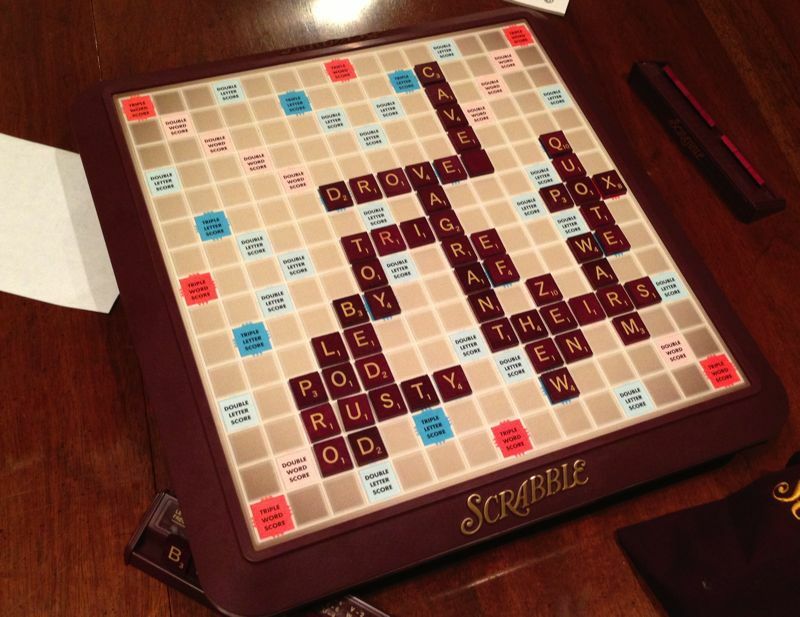 I can't wait till the next Glorious Game of Scrabble-Ping-Pong!